As part of my job at Igalia, I have been attending 2-3 events per year. My role mostly as a Chromium stack engineer is not usually much demanding regarding conference trips, but they are quite important as an opportunity to meet collaborators and project mates. This month has been a bit different, as I ended up visiting Santa Clara LG Silicon Valley Lab in California, Igalia headquarters in A Coruña, and Dresden. It was mostly because I got involved in the discussions for the web runtime implementation being developed by Igalia for AGL. It is always great to visit LG Silicon Valley Lab (Santa Clara, US), where my team is located. I have been participating for 6 years in the development of the webOS web stack you can most prominently enjoy in LG webOS smart TV. One of the goals for next months at AGL is providing an efficient web runtime. 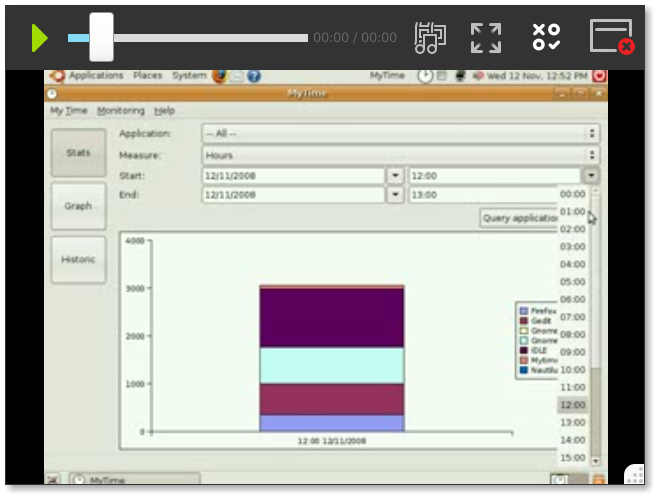 In LGSVL we have been developing and maintaining WAM, the webOS web runtime. And as it was released with an open source license in webOS Open Source Edition, it looked like a great match for AGL. So my team did a proof of concept in May and it was succesful. At the same time Igalia has been working on porting Chromium browser to AGL. So, after some discussions AGL approved sponsoring my company, Igalia for porting the LG webOS web runtime to AGL. 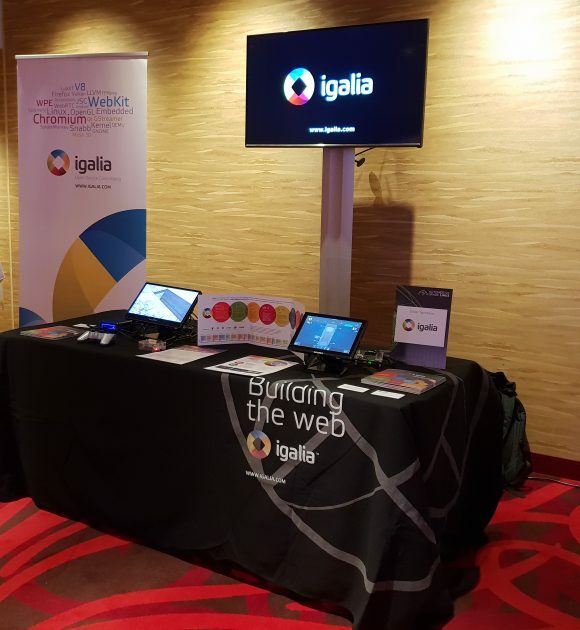 As LGSVL was hosting the september 2018 AGL f2f meeting, Igalia sponsored my trip to the event. So we took the opportunity to continue discussions and progress in the development of the WAM AGL port. And, as we expected, it was quite beneficial to unblock tasks like AGL app framework security integration, and the support of AGL latest official release, Funky Flounder. Julie Kim from Igalia attended the event too, and presented an update on the progress of the Ozone Wayland port. The organization and the venue were great. Thanks to LGSVL! Next trip was definitely closer. 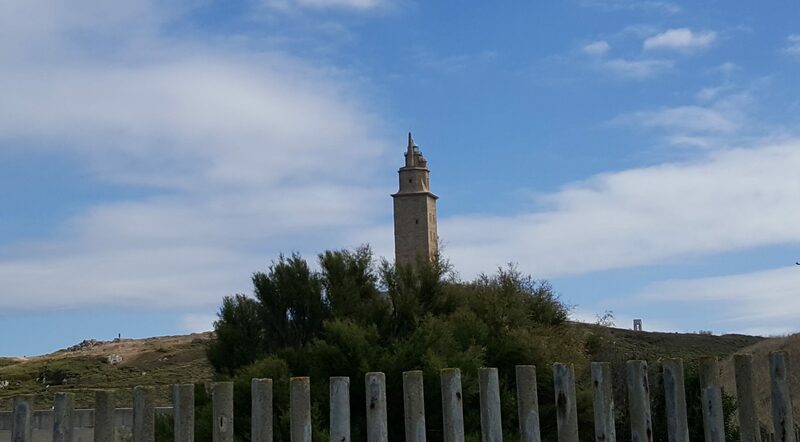 Just 90 minutes drive to our Igalia headquarters in A Coruña. Igalia has been organizing this event since 2009. It is a cross-web-engine event, where engineers of Mozilla, Chromium and WebKit have been meeting yearly to do some hacking, and discuss the future of the web. This time my main interest was participating in the discussions about the effort by Igalia and Google to support Wayland natively in Chromium. I was pleased to know around 90% of the work had already landed in upstream Chromium. Great news as it will smooth integration of Chromium for embedders using Ozone Wayland, like webOS. It was also great to know the work for improving GPU performance reducing the number of copies required for painting web contents. – We did a follow-up of the discussion in last BlinkOn about the barriers for Chromium embedders, sharing the experiences maintaining a downstream Chromium tree. – Joined the discussions about the future of WebKitGTK. In particular the graphics pipeline adaptation to the upcoming GTK+ 4. As usual, the organization was great. We had 70 people in the event, and it was awesome to see all the activity in the office, and so many talented engineers in the same place. Thanks Igalia! 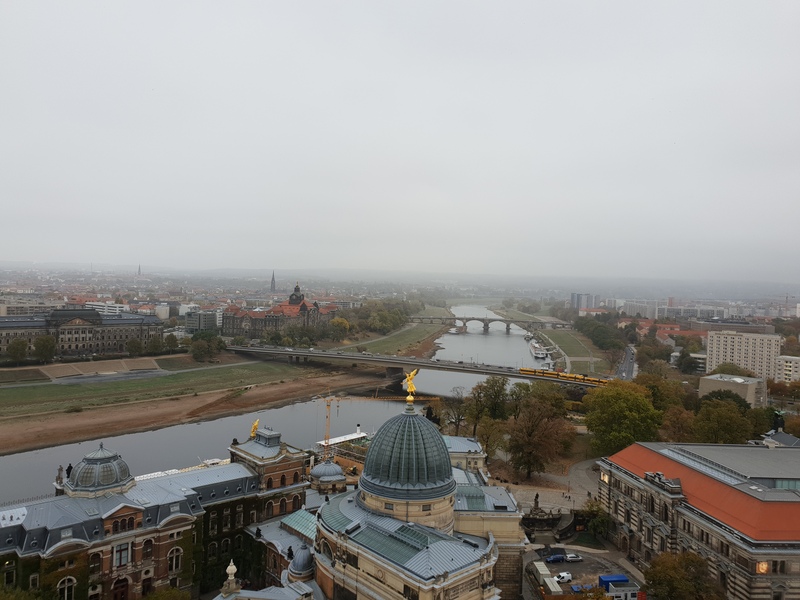 The last event in barely a month was my first visit to the beautiful town of Dresden (Germany). The goal was continuing the discussions for the projects Igalia is developing for AGL platform: Chromium upstream native Wayland support, and the WAM web runtime port. We also had a booth showcasing that work, but also our lightweight WebKit port WPE that was, as usual, attracting interest with its 60fps video playback performance in a Raspberry Pi 2. 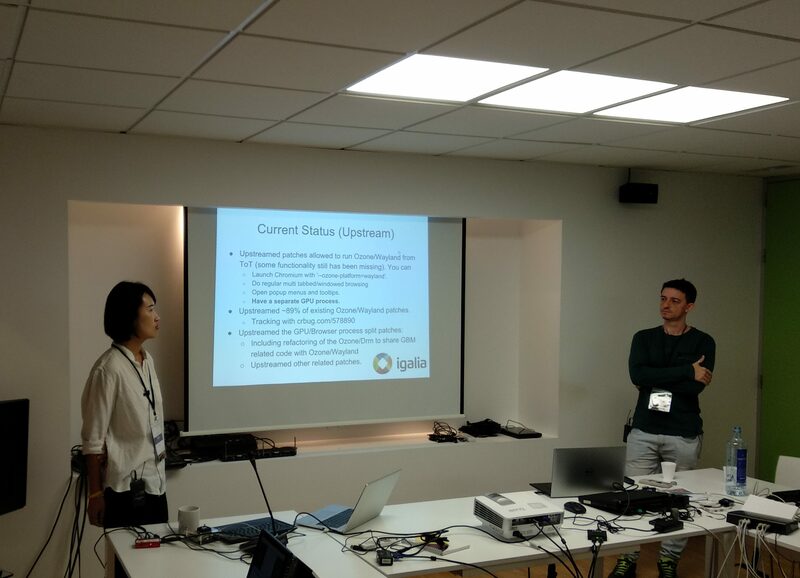 I co-presented with Steve Lemke a talk about the automotive activities at LGSVL, taking the opportunity to update on the status of the WAM web runtime work for AGL (slides here). The project is progressing and Igalia should be landing soon the first results of the work. It was great to meet all this people, and discuss in person the architecture proposal for the web runtime, unblocking several tasks and offering more detailed planning for next months. Dresden was great, and I can’t help highlighting the reception and guided tour in the Dresden Transportation Museum. Great choice by the organization. Thanks to Linux Foundation and the AGL project community! So… what’s next? I will be visiting San Francisco in November for Chrome Dev Summit. I can only thank Igalia for sponsoring my attendance to these events. They are quite important for keeping things moving forward. But also, it is also really nice to meet friends and collaborators. Thanks Igalia! Future Ozone Wayland backend is still not ready for shipping. So we are announcing the release of an updated Ozone Wayland backend for Chromium, based on the implementation provided by Intel. It is rebased on top of latest stable Chromium release and you can find it in my team Github. Hope you will appreciate it. Linux desktop is progressively migrating to use Wayland as the display server. It is the default option in Fedora, Ubuntu ~~and, more importantly, the next Ubuntu Long Term Support release will ship Gnome Shell Wayland display server by default~~ (P.S. since this post was originally written, Ubuntu has delayed the Wayland adoption for LTS). As is, now, Chromium browser for Linux desktop support is based on X11. This means it will natively interact with an X server and with its XDG extensions for displaying the contents and receiving user events. But, as said, next generation of Linux desktop will be using Wayland display servers instead of X11. How is it working? Using XWayland server, a full X11 server built on top of Wayland protocol. Ok, but that has an impact on performance. Chromium needs to communicate and paint to X11 provided buffers, and then, those buffers need to be shared with Wayland display server. And the user events will need to be proxied from the Wayland display server through the XWayland server and X11 protocol. It requires more resources: more memory, CPU, and GPU. And it adds more latency to the communication. Chromium supports officially several platforms (Windows, Android, Linux desktop, iOS). But it provides abstractions for porting it to other platforms. * Creating and obtaining windows to paint the contents. * Interacting with the desktop cursor. * Interacting with the window manager. Even if Wayland was not used on Linux desktop, a bunch of embedded devices have been using Wayland for their display server for quite some time. LG has been shipping a full Wayland experience on the webOS TV products. In the last 4 years, Intel has been providing an implementation of Ozone abstractions for Wayland. 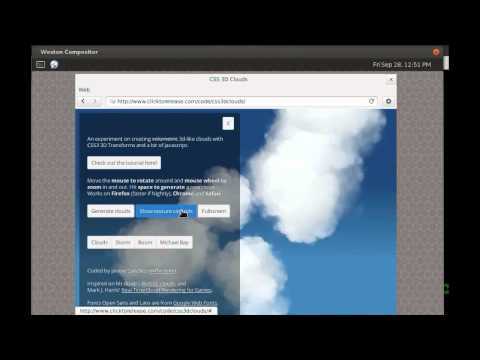 It was an amazing work that allowed running Chromium browser on top of a Wayland compositor. This backend has been the de facto standard for running Chromium browser on all these Wayland-enabled embedded devices. But the development of this implementation has mostly stopped around Chromium 49 (though rebases on top of Chromium 51 and 53 have been provided). Since the end of 2016, Igalia has been involved on several initiatives to allow Chromium to run natively in Wayland. Even if this work is based on the original Ozone Wayland backend by Intel, it is mostly a rewrite and adaptation to the future graphics architecture in Chromium (Viz and Mus). This is being developed in the Igalia GitHub, downstream, though it is expected to be landed upstream progressively. Hopefully, at some point in 2018, this new backend will be fully ready for shipping products with it. But we are still not there. ~~Some major missing parts are Wayland TextInput protocol and content shell support~~ (P.S. since this was written, both TextInput and content shell support are working now!). * June 2016: Understanding Chromium’s runtime ozone platform selection (by Antonio Gomes). * October 2016: Analysis of Ozone Wayland (by Frédéric Wang). * November 2016: Chromium, ozone, wayland and beyond (by Antonio Gomes). * December 2016: Chromium on R-Car M3 & AGL/Wayland (by Frédéric Wang). * February 2017: Mus Window System (by Frédéric Wang). * May 2017: Chromium Mus/Ozone update (H1/2017): wayland, x11 (by Antonio Gomes). * June 2017: Running Chromium m60 on R-Car M3 board & AGL/Wayland (by Maksim Sisov). Ok, so new Wayland backend is still not ready in some cases, and the old one is unmaintained. For that reason, LG is announcing the release of an updated legacy Ozone Wayland backend. It is essentially the original Intel backend, but ported to current Chromium stable. Why? Because we want to provide a migration path to the future Ozone Wayland backend. And because we want to share this effort with other developers, willing to run Chromium in Wayland immediately, or that are still using the old backend and cannot immediately migrate to the new one. WARNING If you are starting development for a product that is going to happen in 1-2 years… Very likely your best option is already migrating now to the new Ozone Wayland backend (and help with the missing bits). We will stop maintaining it ourselves once new Ozone Wayland backend lands upstream and covers all our needs. What does this port include? * Rebased on top of Chromium m60, m61, m62 and m63. * It already includes some changes to adapt to the new Ozone Wayland refactors. It is hosted at https://github.com/lgsvl/chromium-src. Originally published at webOS Open Source Edition Blog. and licensed under Creative Commons Attribution 4.0. I’m just now in a train. Destination: GUADEC 2012! Today I’ll be presenting a lightning talk about my work at Igalia browsers team for web application stores support in Epiphany. Take this talk as a fast follow up on the work I posted about some months ago, “Epiphany meets the web app stores“. I will also outline the plan for next months. Author José Dapena PazPosted on July 27, 2010 Categories Gnome, Igalia, Maemo, MSWL, Uncategorized5 Comments on Talk about Modest 4 for Guadec next Thursday. Challenges of portability between Hildon and GNOME. Author José Dapena PazPosted on March 15, 2010 Categories Gnome, Igalia, Maemo, MSWL, Uncategorized2 Comments on Tinymail moved to gitorious.